I love how they are being used in more creative ways. 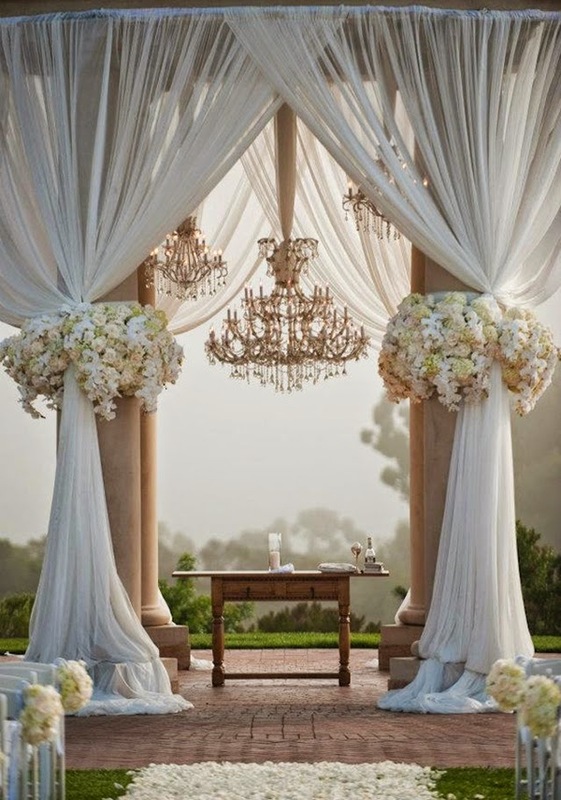 Rather than a single fixture overlooking a table, chandeliers are being more commonly grouped together or hung from distinguished areas, such as tents or chuppahs. 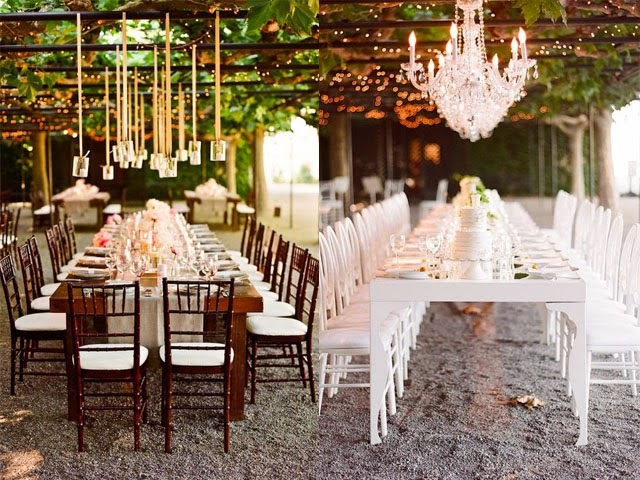 Chandeliers can even bring their beautiful glow to the outdoors. my favorite creative way to use chandelier are having them suspended from trees create a look of enchantment and sophistication. The classic crystal chandelier is still a coveted piece for its elegance and glamour, but a variety of styles brighten the setting just as beautifully. There are many chandeliers that are being used to accommodate specific themes, from couture to diamond-studded to old Hollywood styles. 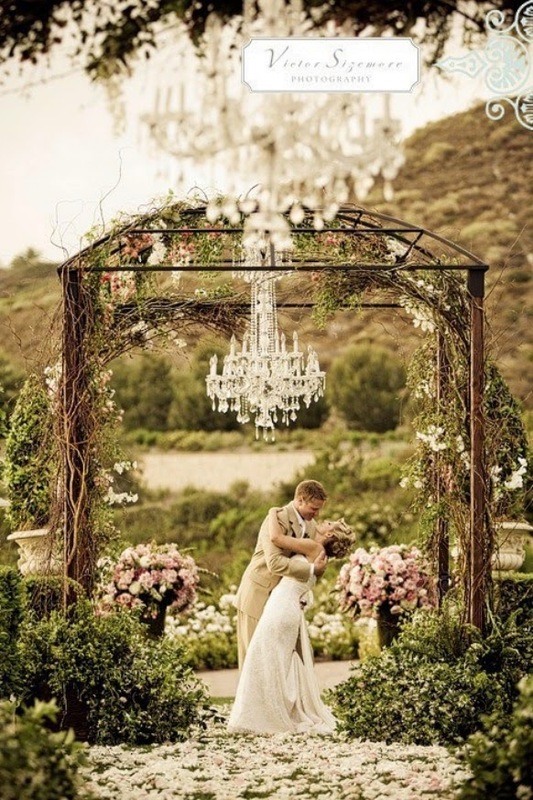 No matter the chandelier type, they all add a touch of dreamy romance. 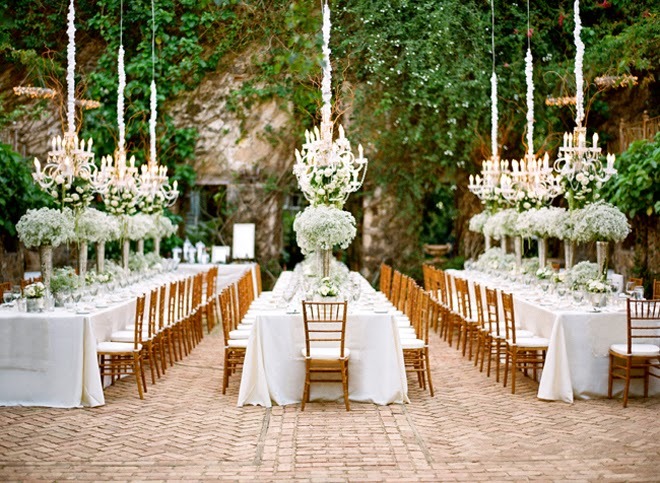 In my opinion Chandeliers cause guests to gasp with excitement as they enter a wedding reception space.